Mysterious Voynich Manuscript – written in Alien Code ? 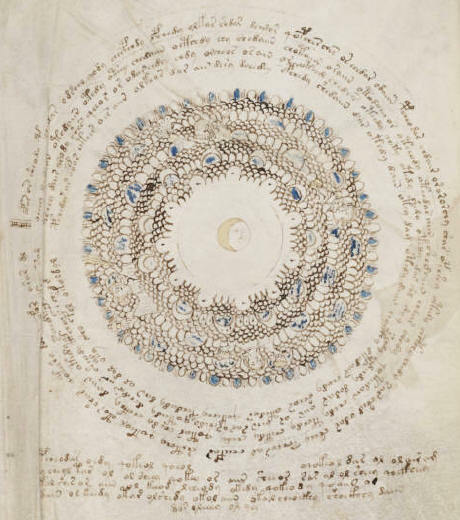 Written in Central Europe at the end of the 15th or during the 16th century, the origin, language, and date of the Voynich Manuscript—named after the Polish-American antiquarian bookseller, Wilfrid M. Voynich, who acquired it in 1912—are still being debated as vigorously as its puzzling drawings and undeciphered text. Described as a magical or scientific text, nearly every page contains botanical, figurative, and scientific drawings of a provincial but lively character, drawn in ink with vibrant washes in various shades of green, brown, yellow, blue, and red. 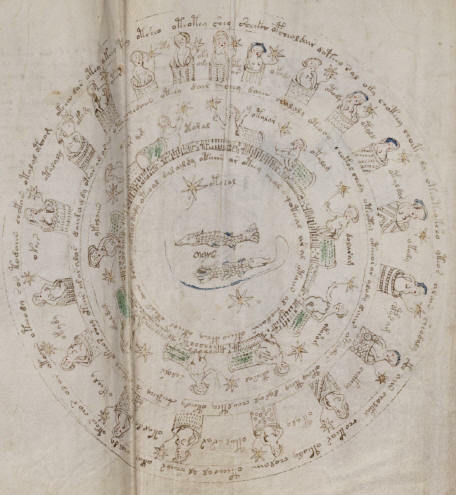 The Voynich Manuscript is considered to be ‘The Most Mysterious Manuscript in the World‘. To this day this medieval artifact resists all efforts at translation. It is either an ingenious hoax or an unbreakable cipher. The manuscript is named after its discoverer, the American antique book dealer and collector, Wilfrid M. Voynich, who discovered it in 1912, amongst a collection of ancient manuscripts kept in villa Mondragone in Frascati, near Rome, which had been by then turned into a Jesuit College (closed in 1953). Based on the evidence of the calligraphy, the drawings, the vellum, and the pigments, Wilfrid Voynich estimated that the Manuscript was created in the late 13th century. The manuscript is small, seven by ten inches, but thick, nearly 235 pages. It is written in an unknown script of which there is no known other instance in the world. From a piece of paper which was once attached to the Voynich manuscript, and which is now stored in one of the boxes belonging with the Voynich manuscript holdings of the Beinecke library, it is known that the manuscript once formed part of the private library of Petrus Beckx S.J., 22nd general of the Society of Jesus. There is no other example of the language in which the manual is written. It is an alphabetic script, but of an alphabet variously reckoned to have from nineteen to twenty-eight letters, none of which bear any relationship to any English or European letter system. The text has no apparent corrections. There is evidence for two different “languages” (investigated by Currier and D’Imperio) and more than one scribe, probably indicating an ambiguous coding scheme. The VM is written in a language of which no other example is known to exist. It is an alphabetic script, but of an alphabet variously reckoned to have from nineteen to twenty-eight letters, none of which bear any relationship to any English or European letter system. 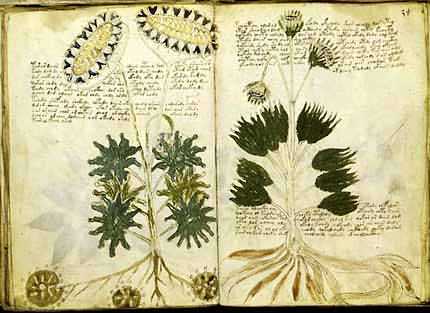 Apparently, Voynich wanted to have the mysterious manuscript deciphered and provided photographic copies to a number of experts. However, despite the efforts of many well known cryptologists and scholars, the book remains unread. There are some claims of decipherment, but to date, none of these can be substantiated with a complete translation.